Our Public and Private Birthday parties offer a variety of options and are guaranteed to provide a party you and your guests won’t forget! We offer parties for groups of all ages, including Teen Birthday Parties! Our Public Birthday Parties are recommended for smaller groups with a maximum of 14 participants (to make room for the average amount of supervising parents/adults). If you are expecting a larger group, consider our Private Birthday Parties at the bottom of this page. NOTICE REGARDING ONLINE BOOKING (May 2018): If you choose to book a party online, DO NOT hit the “back” button for your browser at anytime during the process. Any changes can be made by a staff member after the booking is completed. Please be mindful of the timer on specific pages (noted at the top of the page). If time runs out, or if you attempt to go back in the process, you may receive an error messages. Please clear your cookies, close the session and retry in a new browser window. If issues still exist, please contact us at 970-482-0497, then press 7 to speak to a staff member. If we are not available to answer your call, please leave a message. For online booking, please choose from the drop downs below. Our Public Birthday Parties are THREE HOUR PARTIES and available during most open/public skating hours. Bookings are for one birthday person only. Exceptions such as in the case of twins, must be first approved by Rollerland management. Please contact us at 970-482-0497, ext. 7, or email at info@rollerlandskatecenter.com. Public Birthday Parties require a $50.00 deposit and a “lead time” of three days to book online. Deposits are non-refundable/non-transferable. If you are looking for a time within three days, please call us at 970-482-0497 ext. 7. Our Public Birthday Parties are recommended for smaller groups with a maximum of 14 participants (to make room for the average amount of supervising parents/adults). Cake is not provided by Rollerland for any of our party packets. Please review the information at the bottom of this page regarding our policy on cake (Under DIY: Private Parties”). Click the arrows below to view details and pricing for our 1-attraction, 2-attraction, 3-attraction and 4-attraction parties. Scroll down further to learn about our Private Parties options! $139.00 for 10 people (including the birthday guest), $11.50 each additional person! $164.00 for 10 people (including the birthday guest), $14.00 each additional person! $189.00 for 10 people (including the birthday guest), $16.50 each additional person! $214.00 for 10 people (including the birthday guest), $19.00 each additional person! For our Exclusive private birthday parties, the rink is all yours for up to 20 skaters and a total of 2 hours! (Not to be confused with the public birthday parties shown above which are 3 hour parties.) Times available are Saturdays from 10:00am-12:00pm and Sunday Evenings from 5:30-7:30pm. There are also select times available on the weekdays. Bookings are for one birthday person only. Exceptions such as in the case as of twins, must be first approved by Rollerland management. Please contact us at 970-482-0497, ext. 7 or email at info@rollerlandskatecenter.com. Private Birthday Parties require a $100.00 deposit and a “lead time” of three days to book online. Deposits are non-refundable/non-transferable. If you are looking for a time within three days, please call us at 970-482-0497 ext. 7. Cake is not provided by Rollerland for any of our party packets. Please review the information at the bottom of this page regarding our policy on cake (Under DIY: Private Parties”). $319.00 for 20 people (including the birthday guest), $14.00 each additional person! $359.00 for 20 people (including the birthday guest), $16.00 each additional person! $409.00 for 20 people (including the birthday guest), $18.50 each additional person! $459.00 for 20 people (including the birthday guest), $21.00 each additional person! The Do-It-Yourself Private Party rate! Click here to book now! The DIY is a simple facility rental; You would handle the place settings and all food/beverage items. With this option you can have it catered or do your own outside food and drink. If you’d like to use your own place settings and theme, then this may be the option for you. 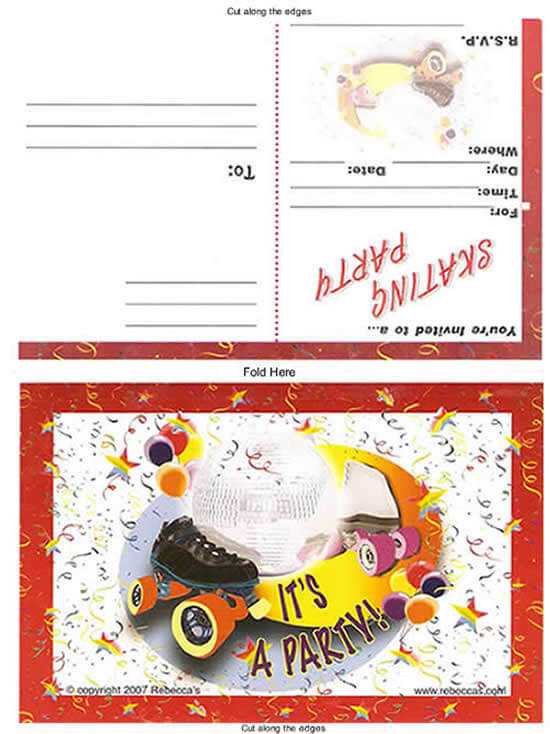 The cost is $320.00 for 40 people or less (including the birthday guest), $8 each additional skater! “Public Birthday Parties” are 3-hour parties with a 1-hour room rental. The “Exclusive Private Parties” and the “DIY: Private Parties” are 2-hour parties and no other groups are in the building during your party. You’ll also have exclusive use of the concessions seating area for those 2 hours. Only private parties can have cake in the general concessions area. The “Exclusive Private Parties” is a Private Party. The “DIY: Private Parties” is a private party. So, please remember that during open/public skating hours, outside food is not allowed in the general concessions or public areas of our facility. We thank you in advance for understanding as we strive to provide consistent customer service. Thank you for considering your peer customers.